And the winner for Best Americana Album goes to Rosanne Cash for The River & The Thread. The third GRAMMY for Cash tonight! 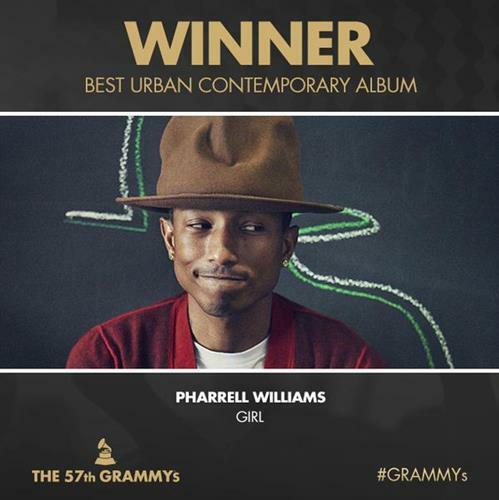 "The last time I won a GRAMMY [Ronald] Regan was president." 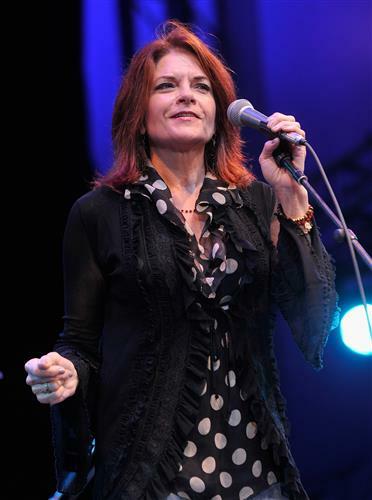 - Rosanne Cash on winning Best American Roots Performance for "A Feather's Not A Bird." BREAKING NEWS: #CongratsBestRapPerformance is trending worldwide on Twitter! The winner in that category was Kendrick Lamar for "I." Old Crow Medicine Show are nominated for Best Folk Album for Remedy. That category will be announced shortly after their performance. 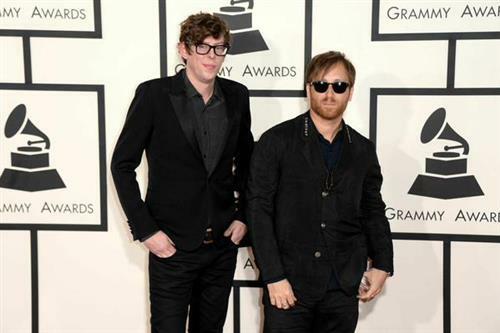 The group won the first GRAMMY of their career for 2012 for Best Long Form Music Video for Big Easy Express. 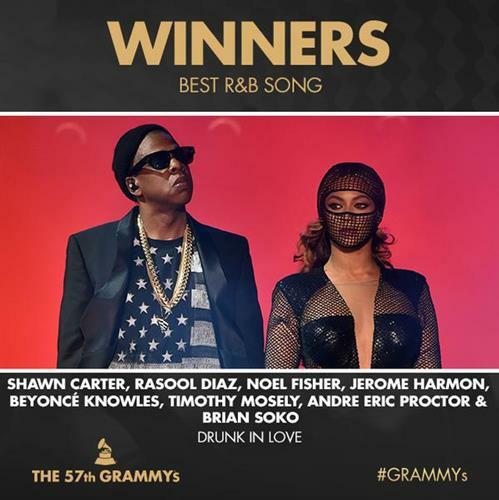 Beyoncé wins her second GRAMMY of the night for Best R&B Song for "Drunk In Love." Other winners are hubby Jay Z, Rasool Diaz, Noel Fisher, Jerome Harmon, Beyoncé Knowles, Timothy Mosely, Andre Eric Proctor and Brian Soko. "The first time we performed this song was the morning of the [Sandy Hook] tragedy. ... This goes out to all the victims." - Robert Glasper, winner for Best Traditional R&B Performance for "Jesus Children"
BREAKING NEWS: #GRAMMYsRedCarpet is now trending on Twitter! We're taking you live to the red carpet in just 15 minutes. Keep it here! 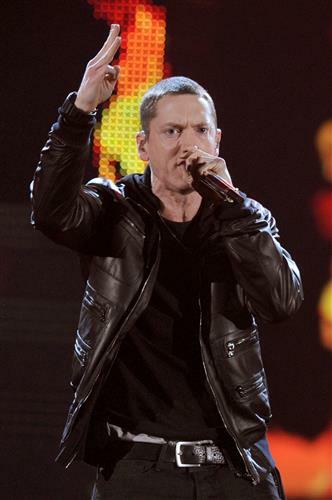 And Eminem wins his second GRAMMY of the day! Best Rap Album for The Marshall Mathers LP 2. 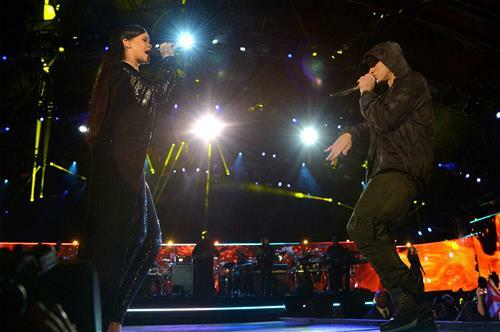 Congratulations to Rihanna and Eminem on their GRAMMY win for Best Rap Duo/Group Performance for "The Monster"!